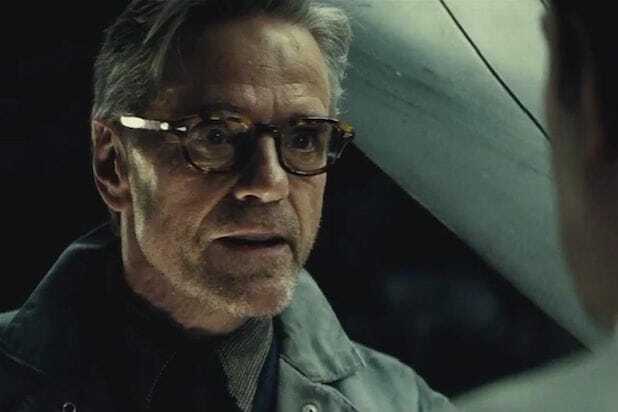 “Batman v Superman: Dawn of Justice” was “deservedly” bashed by critics, according to star Jeremy Irons. The latest actor to play Bruce Wayne’s faithful butler, Alfred, touched on the “very muddled” blockbuster during a wide-ranging interview with the Daily Mail‘s Event magazine. “I think the next one will be simpler. The script is certainly a lot smaller, it’s more linear,” Irons said. “Justice League,” which will bring back Henry Cavill‘s Superman, Ben Affleck‘s Batman, Gal Gadot‘s Wonder Woman as well as Jason Momoa as Aquaman and Ezra Miller as The Flash, is set to be released in theaters on November 17, 2017.